Definition at line 55 of file CCopasiStaticString.h. Definition at line 57 of file CCopasiStaticString.cpp. Definition at line 62 of file CCopasiStaticString.cpp. 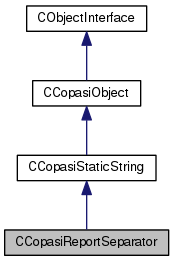 Definition at line 67 of file CCopasiStaticString.cpp. Definition at line 69 of file CCopasiStaticString.cpp. Definition at line 73 of file CCopasiStaticString.cpp.